This blogging challenge (originally from the blog “Spellbound”) took place over a number of months. Please feel free to browse through using the links below and use it on your own blog if you fancy having a go. This is a really tricky question as I think if it got to the point that I didn’t want to play anymore, I would have trailed off and then just not renewed the sub. This obviously means that I probably would have done my usual as a last day: logged in, done my Nomi quest for the free food, halfhill farming, auction house and LFR whilst blocking the idiot talk in the Shrine. Nothing. If it had got to the point I was quitting, I wouldn’t be playing at all. However, before I have stopped playing. I deleted all my characters and gave my gold to friends. Extreme, but necessary… I was totally fed up. We hope you have enjoyed this journey with us. It has taken many months, but we have learnt a lot about ourselves en route! And this is on a good day!!! 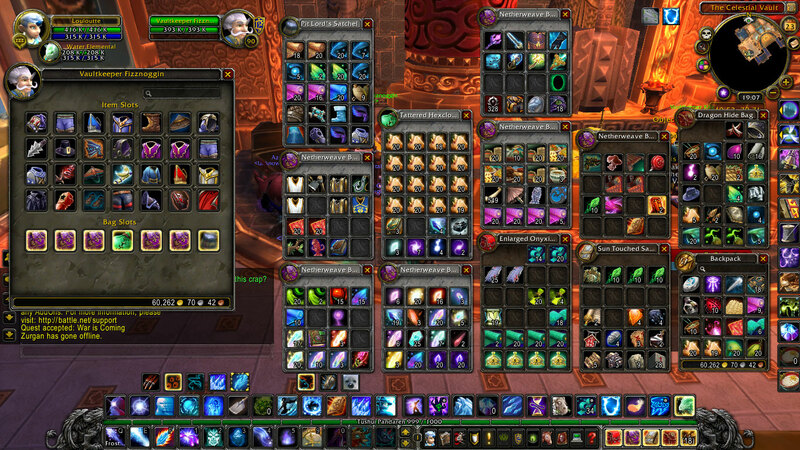 I tend to keep everything spread across various alts and toons, although my bags here are quite full. 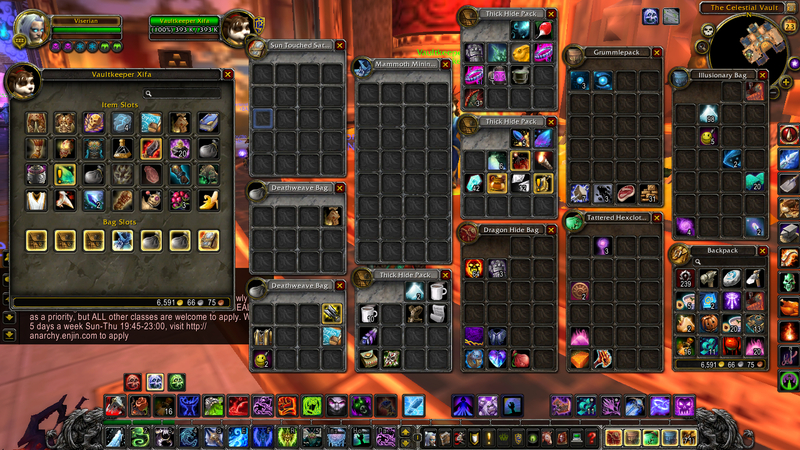 I usually keep metals, consumables and other small rep/enchanting mats in my bags. In my bank, I keep the curiosity items (BoA stuff, ritual stones etc etc) which I don’t need day to day. She keeps e.v.e.r.y.t.h.i.n.g… mats galore, transmog stuff (spellbound!!! I can’t send them anywhere else! ), and goodness knows what else. What about you? Serial horder or completely empty? Let us know! 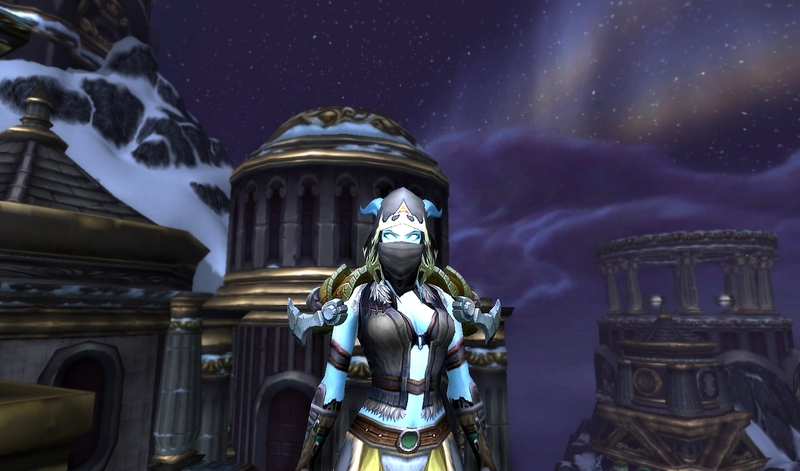 I have lots of favourite outfits, and I feature them all in my transmog section (look left). So, I thought I’d feature some of my favourites from other enthusiasts. She calls it her “Wolfslayer Outfit” and all details can be found here. She creates some lovely outfits which usually have a theme which is really helpful and easy to follow. She also produces her own art which is b.e.a.utiful, so go check it out! Of course, there are so many amazing blogs out there which feature some fabulous outfits – I would definitely recommend you go and search them out. At the risk of sounding philosophical, I am really struggling to find things to talk about for this one. Purely for the reason that nostalgia can often get the better of us and we miss things just because they’re not there any more. Cataclysm gave a much needed levelling experience and I actually really enjoyed the changes they made – I felt it was perhaps a little fragmented before this expansion. I’m afraid I can’t comment – I’ve just about reached my one year birthday! 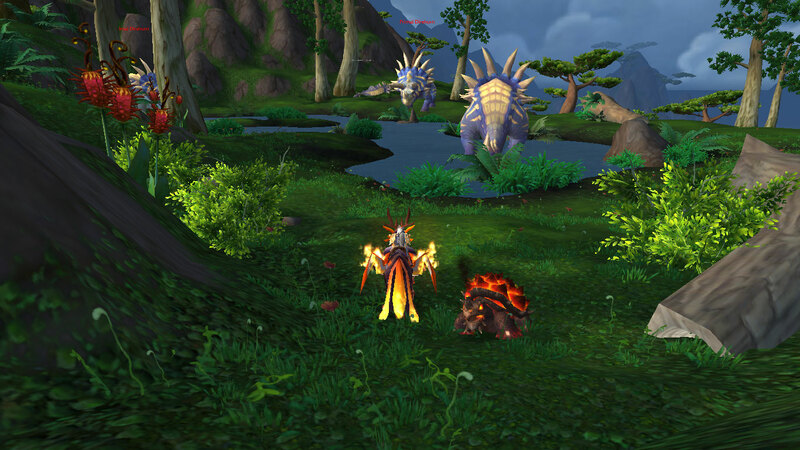 Nagrand – I could live there. The scenery is beautiful and the floating rocks are amazing. From the Horde perspective, the storyline is also really interesting, with Garrosh Hellscream entering the picture. 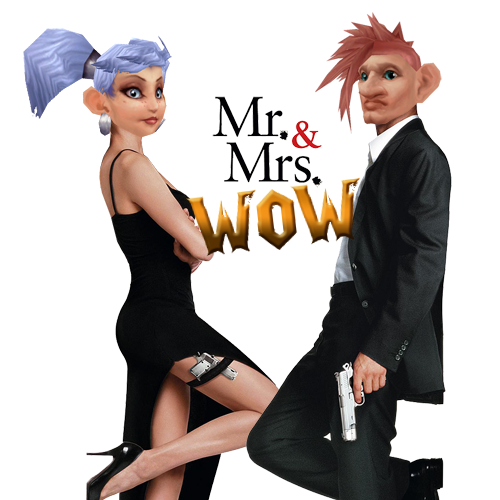 I could babble on and on about my favourite bits in WoW. I do a Picture of the Week which features many of the most beautiful places in the game. I agree with my husband, with Nagrand, I think we could both happily hermit away from the rest of the world in such a lovely place. However, I also really love the Jade Forest and often find myself circling around enjoying the view and fishing in the pretty lakes. This is similar with Uldum and its desert oases, or Vashj’ir and the beautiful underwater reefs, and finally, Howling Fjord – have you ever just stopped to admire the sky? I think ultimately, what we both love are the details in the game – from the variable weather to the running water. Perhaps there are more places to discover – let us know which is your favourite place to hang out! Our current desktop background is one from our wedding – standing outside the church. 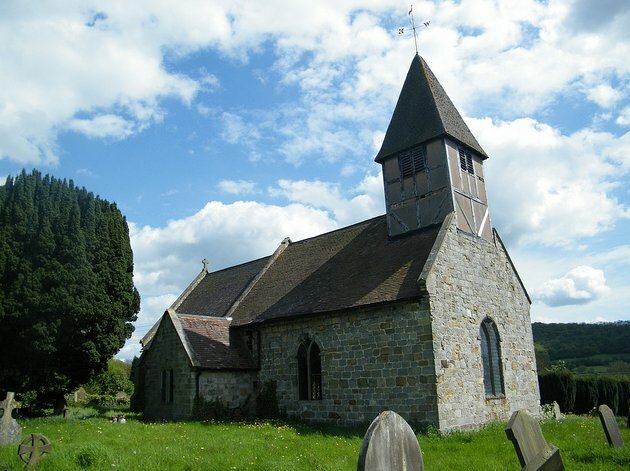 We’d like to remain relatively anonymous, as I’m sure you understand, so instead I’ll put a picture of the church for you. It’s very beautiful. What do you have as your background? Not reading quest objectives when leveling – I tend to just head to the spot and see which mob needs killing. In hindsight, I could save a lot of time if I skim the quest as I pick it up, as I usually have to stop and find out what I’m doing! Not capping valour each week. Sorry Blizz, I just don’t have the time, Especially with the 40mins+ of queue time for LFG or LFR. Eating near the computer / eating whilst raiding / not stopping to eat. Laziness really I suppose! Lazy when farming. I usually just buy all my profession mats and any other mats I might need. Secondary professions remain at 0/600. I just cannot be bothered!